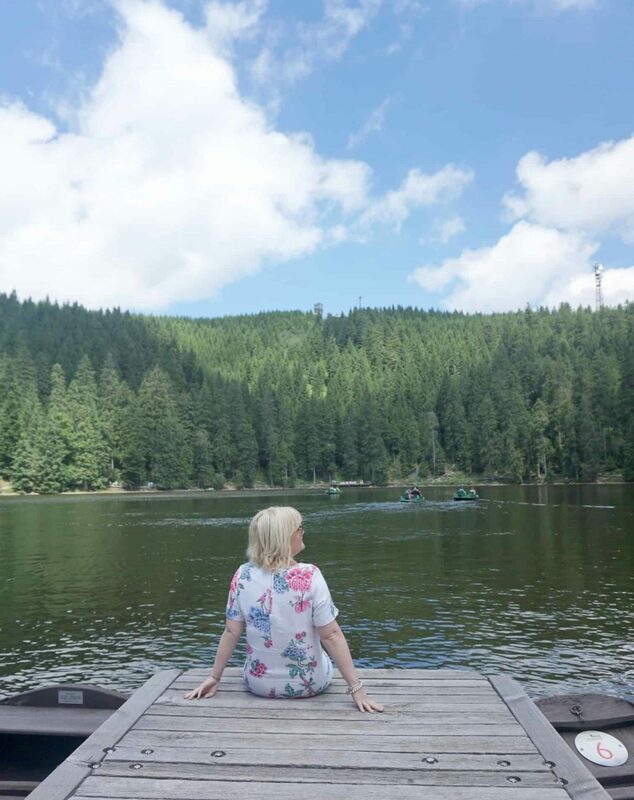 My recent trip to Germany was one of those incredible trips where you can’t quite believe you are there and everything is so breathtakingly beautiful. Baden Baden is such a stunning part of Germany. And one that is lucky to boast the Black Forest. An area I have heard so much about but never been lucky enough to visit. The thing is there is no reason we hadn’t visited. It was purely because Germany was never on our radar before my trip to Stuttgart at Christmas for the Markets. But wow as a region it is not only incredible beautiful but has so much to offer families. 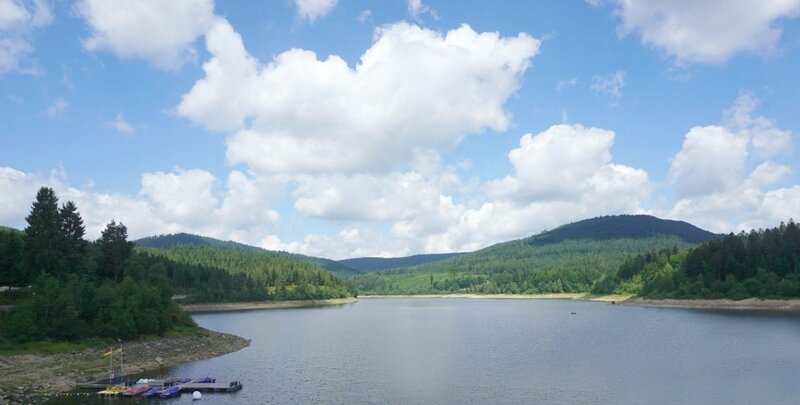 I love these pictures I took from the Black Forest. They will always remind me of one of those moments in life, when you are surrounded by such beauty that you can’t quite believe it. You feel almost emotional. And there is something special about standing on what feels like the top of the world in Germany so high up you can see France. 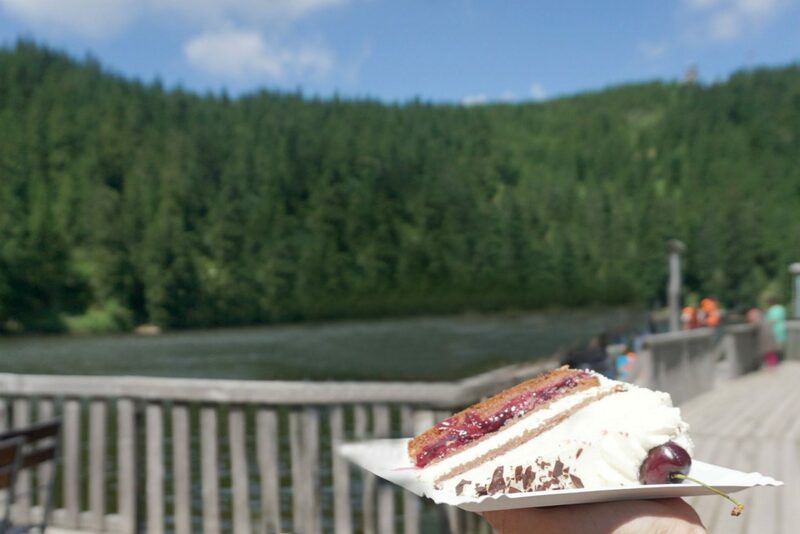 And of course you can’t visit the Black Forest and not try out its famous Gateaux. I have to say it did not disappoint. Stunning countryside, and of course the gateaux! It sure is beautiful, the kind of place you don’t want to leave. Is that a piece of black forest cake, lol. It looks beautiful! I’ve heard good things about the region from others too. Maybe I need to persuade my family to take a trip there? 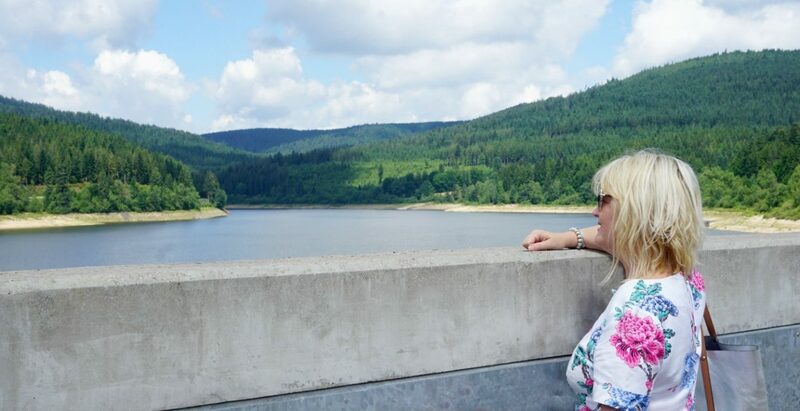 Hi Sarah, the Black Forest looks absolutely stunning! and as for the gateau? It had to be done… I hope you had a second slice just to be sure! What an amazingly beautiful place. Its as if you could just walk through it all for hours and hours. And of course the gateaux looks very nice too. Can’t wait to read more about your trip there! Germany is incredibly beautiful. If you get a chance I recommend a visit to Hammelburg. There’s a lovely water mill there owned by a lady called Christa. She rents out apartments at the mill and will even show the kids around, taking them on a tour and showing them how the mill works to generate electricity. 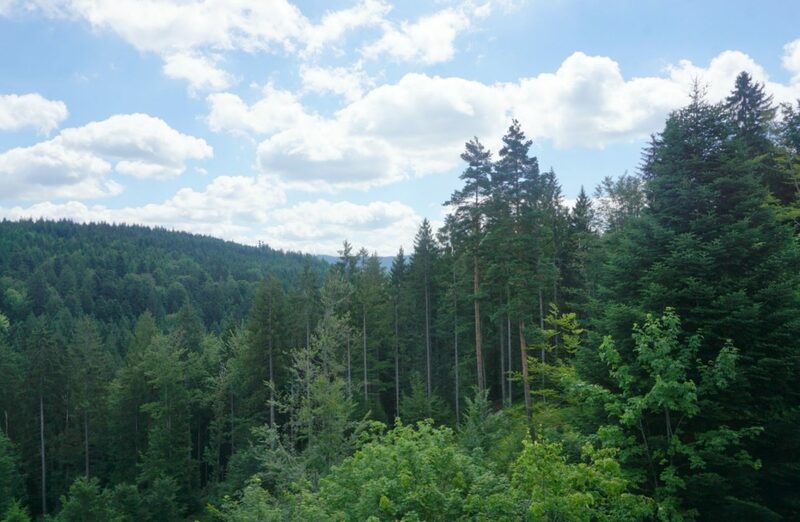 The Black Forest was one of my favourite parts of my last trip to Germany. Such amazing views and great food. I don’t think I tried the gateaux though! More reason to return!! 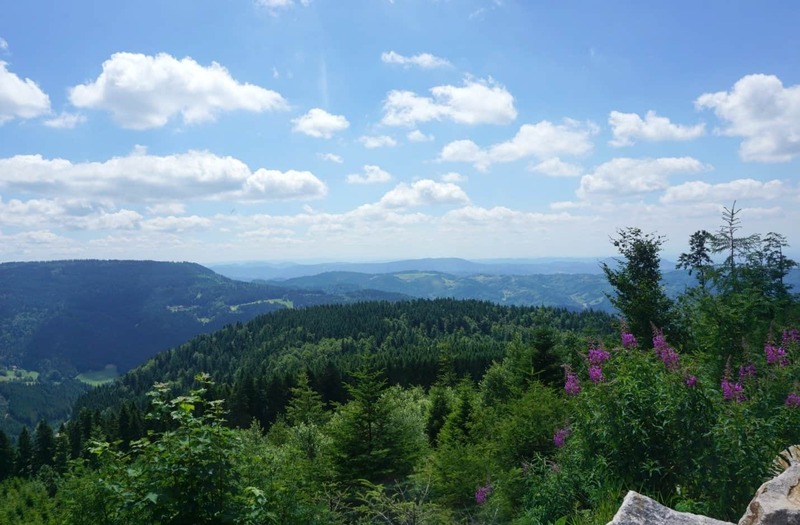 I have never holidayed in Germany, but the Black Forest sounds so lovely. I’ve been talking to Europa Park about visiting, so I’m hoping to add on some time in the Black Forest while we’re there. Gorgeous photos of you Sarah with that beautifully scenery in the background. That black forest gateau looks seriously yummy!